Lewis had arthroscopic surgery to clean up the area around the fatty pad of his patella and remove a piece of bone causing the irritation. 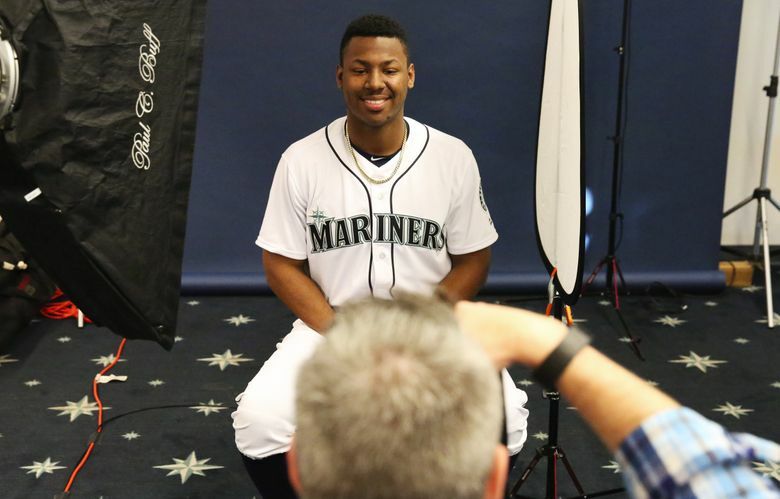 PEORIA, Ariz. — When Kyle Lewis is healthy and on the field, he’s easily the best prospect in the Mariners organization and possibly one of the top 30 in all of baseball. But the problem for the talented young outfielder and the Mariners is that lingering issues with knee have kept him off the field for much of his brief professional career. On Monday, general manager Jerry Dipoto confirmed rumors that Lewis had undergone a second surgical procedure on his right knee and wouldn’t be ready to participate in spring training when minor leaguers report on March 7. This latest surgery on Lewis’ knee was not something the Mariners anticipated for the offseason. At their pre-spring luncheon in late January, they believed he would be ready to go for the season. This was not an expected procedure. The procedure was performed by Dr. Lee D. Kaplan in Miami approximately 10 days ago. The Mariners medical staff has not evaluated Lewis in person since the surgery. It was another frustrating setback for the former first-round pick (11th overall) in the 2016 draft. Lewis sits atop the prospect rankings of a Mariners’ minor league system that notably bereft of front-line talent. However, he would be an elite prospect in any other organization. Injuries have sidetracked a progression that could have put him in Class AAA this season. In his first professional season while playing with Short-season Everett, Lewis suffered a gruesome knee injury in a collision at home plate with an opposing catcher on July 19, 2016. He suffered torn anterior cruciate ligament as well as a torn medial and lateral meniscus. It required season-ending reconstructive surgery on Aug. 11. After moving near the Mariners’ spring training complex in Arizona and religiously rehabbing the knee to full strength, Lewis returned to the field on June 11, 2017. In his first official game of his return with Class A Modesto, Lewis slammed the surgically repaired knee into the outfield wall while trying to make a catch. He suffered a bruised knee that would lead to further complications down the road. Complications from the surgery and the bruised knee hampered Lewis throughout the remainder of the 2017 season. He played in a total of 49 games, hitting. 257 with a .740 on-base plus slugging percentage, six doubles, a triple, seven homers and 31 RBI. The Mariners planned to have Lewis make up for the missed time in the Arizona Fall League. But recurring discomfort with the knee limited him to just two games. The Mariners decided to shut him down from games and allow him to rest and later prepare for spring training. They decided not to give him an invite to spring training, wanting him to focus on being ready for his minor league season. However, the knee pain returned as Lewis ramped up his workouts in preparation for spring training. He eventually opted for a surgery to hopefully clean up the issue. Maybe this latest doctor visit and procedure will provide some long-term stability in the knee and Lewis’ promising career.